Reconstruction is often imagined as the counterpoint to destruction. While the two are often seen as opposites, in reality, and particularly that of Gaza, these moments are linked in a cycle. Since 1948, Palestine has been constantly destroyed and reconstructed. In most cases, the effects of reconstruction were more destructive than the destruction itself. At the same time a project of reconstruction reframes power relations and imposes a different kind of space, social structure, and mentality. What does it mean to reconstruct in a territory that is not only under a blockade, but also faces the imminent threat of yet another war? Architecture is usually called upon to intervene after conflict. But what role can architecture play during conflict? Is it possible to imagine an architecture that preserves a sense of collectivity in spite of continuous aggressions? To think reconstruction means to think of Gaza beyond a military gaze. Reconstruction forces to think about life beyond, or in spite of, war. Reconstruction forces to see things from the ground and from the perspective of the community, rather than from a distance or above. Reconstruction forces to consider longer temporalities of transformations, rather than short-lived events cultivated by the media. 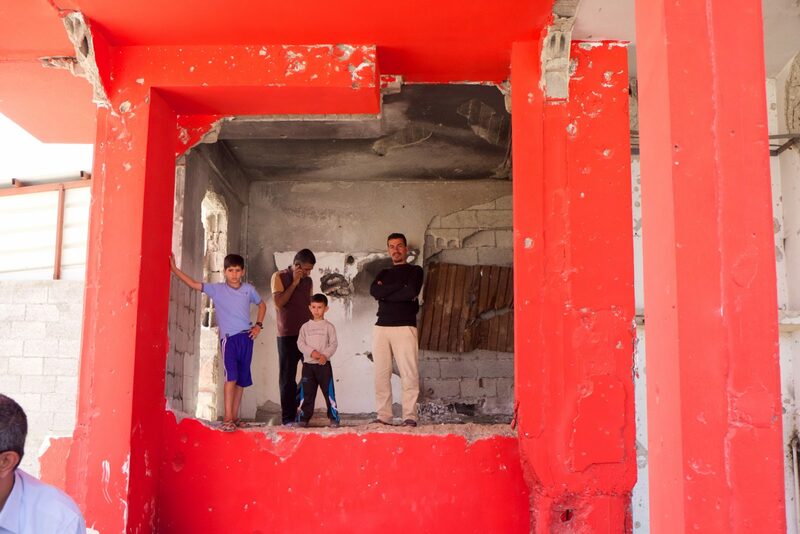 It is within the intersecting force fields of destruction and reconstruction, displacement and return, collaboration and resistance, refugeehood and citizenship, informality and formality, public and private, that in 2016, along with Studioazue, we were commissioned by the Italian Agency for Development and Cooperation to produce a reconstruction plan for Al Nada Neighborhood in close collaboration with the technical team of the Ministry of Public Works and Housing in Gaza. 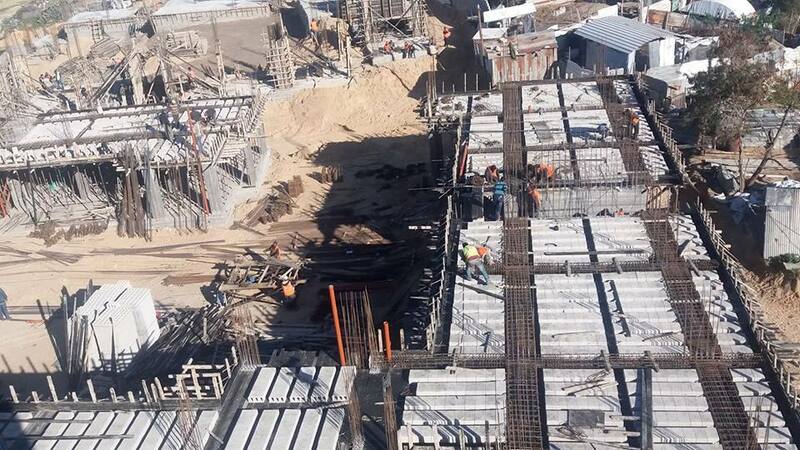 The objective of the project was to rehabilitate the 386 residential units that were partially damaged during the wars, construct 207 additional housing units, and regenerate urban infrastructures and open spaces. The preparation of the community-based master plan involved the Al Nada and Al Isba Neighborhood Committee, the Beit Hanoun Municipality, the Joint Service Council for the Northern Area, local families, and individuals. The work for the reconstruction has began in January 2019.